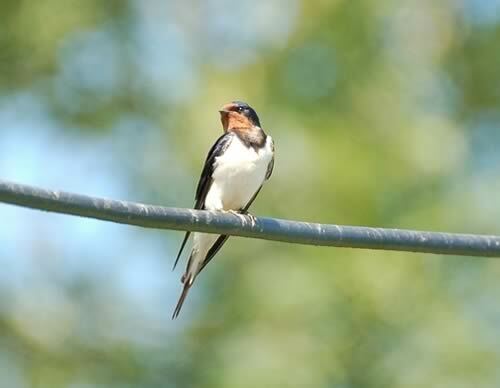 Written by Dr McHugh and her farmland ecology team at the GWCT, the paper titled Use of field margins managed under an agri-environment scheme by foraging Barn Swallows was published in Bird Study. The paper also considers where margins should be sown to improve their effectiveness for swallows and suggests that placing them alongside hedgerows and verges increases the positive impact shown elsewhere. It might not just be birds that benefit from the AES habitats implemented by farmers. Dr McHugh is also researching whether bats, who also forage for insects in flight, respond positively to AES measures designed to support birds and bees. As we move towards a post-Brexit farming policy, research recognising the variety of species supported by Britain’s farmland becomes increasingly important. “The proposed restructuring of UK AES offers opportunities to incorporate new targets for aerial insectivores which could allow the new scheme to widen their beneficial impacts, whilst also providing improved value for money,” said Dr McHugh.